Exclusive! 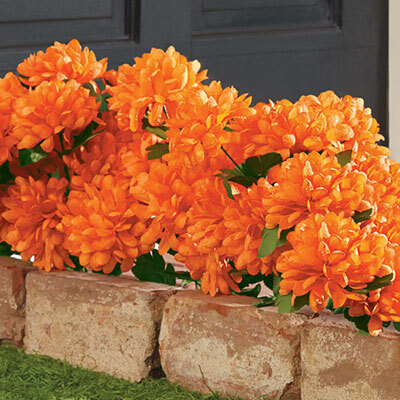 Gather bunches of these Orange Mums All-Weather Forever Blooms to line your sidewalk or brighten the front porch. In non-fading silk-like polyester, they'll have everyone fooled! 17"h bush has approximately nine blooms and nine sprigs. Imported.